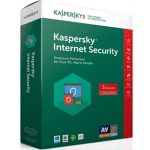 Best Internet Security Software 2018 – Internet Security software suites and antivirus provides higher level of security and real-time protection to safeguard your data with the boost of online threat attack, In this list we will review the best internet security suite in 2018 based on easy to use, Updated threat detection, lower CPU usage and utilization, lighter memory requirements and Faster operation and detection rate Virus Cleanup Variations Phishing Protection, Privacy and more. 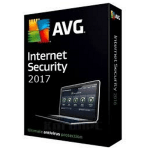 We’ve done our best to collect and review best internet security software in market and we found these security software suites are among other competitors, We’ll be sure to review those suites when they have available, so you need to keep checking this list… We have chosen these security suites as we found them stand out from the crowd in 2018. 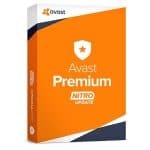 We hope these will help you make right decisions and to find the best internet security software suites for your PC, save yourself some time and check this list out..
Avast Premier is one of the most easy-to-use applications for those planning to make higher level of security of personal PC as well as Internet browsing. Its interface is simple and clear so that you do not need a special technical knowledge to set it up. It has nice and modern design so that you will love working with it. 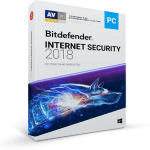 BullGuard Internet Security 2018 among the best security suites in 2018. Offering superior protection and real time protection to protect you and your family from e-threats we are facing these day, include all the features you will look for, The new version BullGard has improved the software interface and include complete set features like PC Tune UP, Safe Browsing, Spamfilter. The new Norton Security has goes even further to make your online experience safe and secure, This new version detects and stops viruses, spyware, rootkits and other hidden threats automatically at their entry point or quarantines infected files when one is found on your computer., Norton scored excellent in real-time protection antivirus and it’s the lightest running antivirus on CPU and memory. AdLock is kinda out of our list as it’s specialized mostly in ad blocking. However, we couldn’t pass by it because of its outstanding safebrowsing mode and tracking protection. This little app will shield your data from phishing and malicious websites, all kinds of spyware and malware while also removing nasty advertising from the web pages. 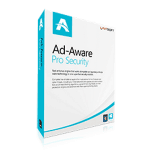 AdLock is not designed as antivirus so don’t expect it to fight the trojans but if you’re more concerned about your privacy and intrusive online ads, that is your choice. Neil Thomas, MS in Advanced Information Technology from International Institute of Information Technology, Stream: Advanced Software Technologies with specialization in Grid and Distributed Computing. Neil joined 5 BestThings and worked as an editor specialized in Software Reviews (Security section). Official Email id: Neil@5bestthings.com.